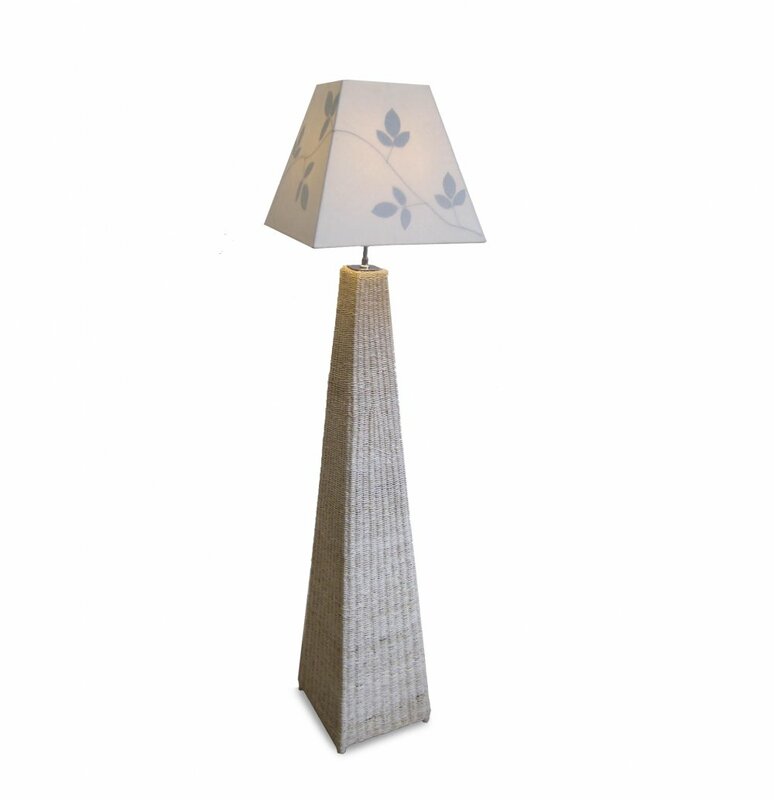 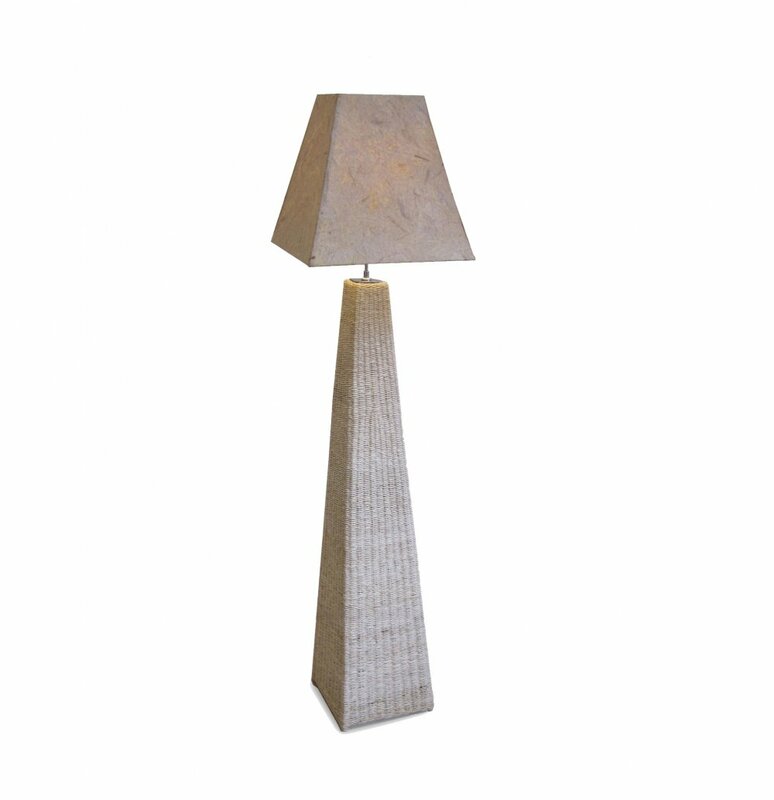 Stunning floor lamp which will add atmosphere and style to any room whether a living area or a garden/conservatory room. 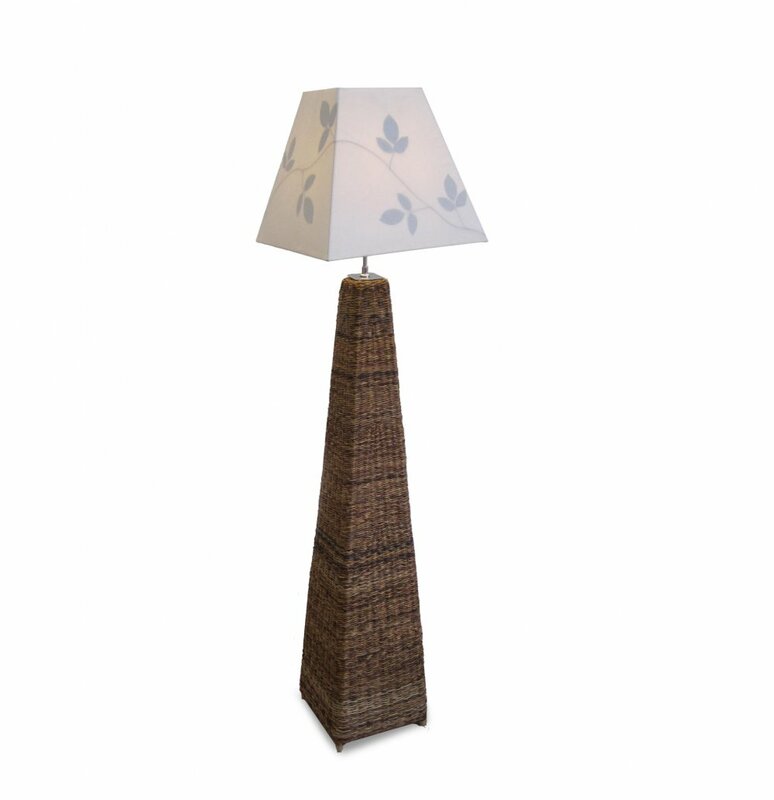 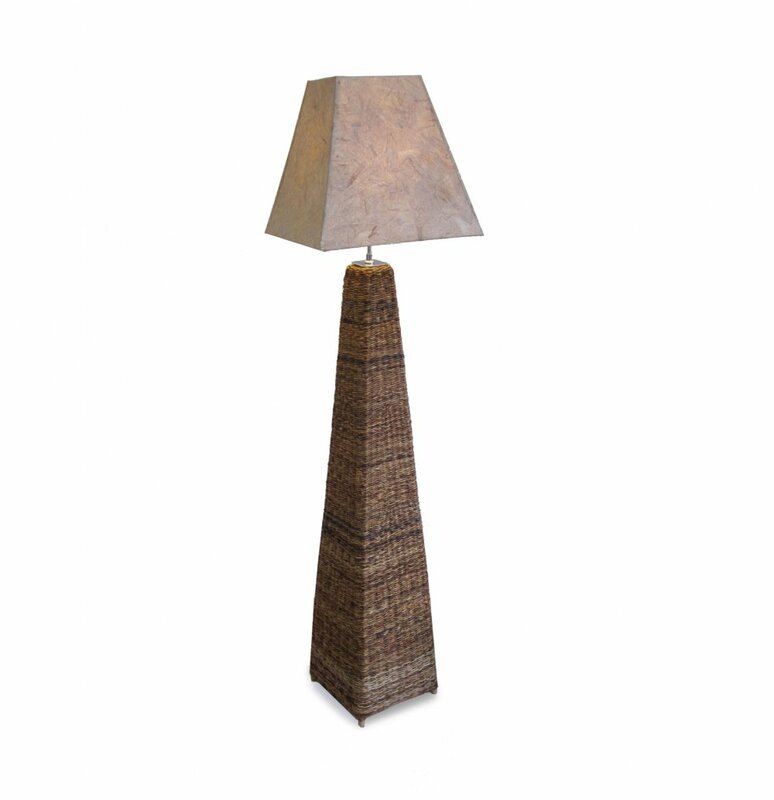 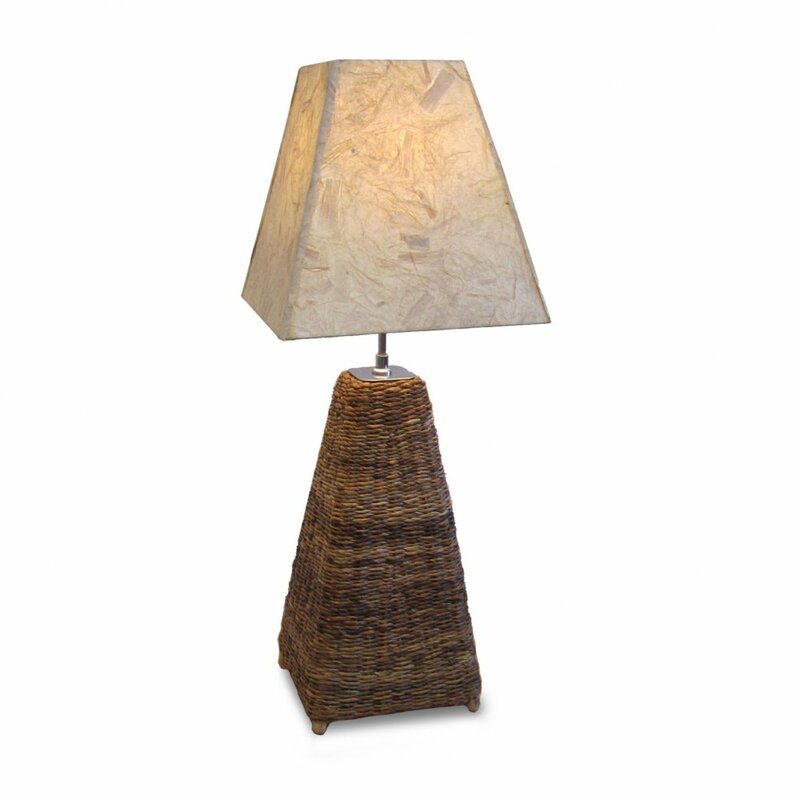 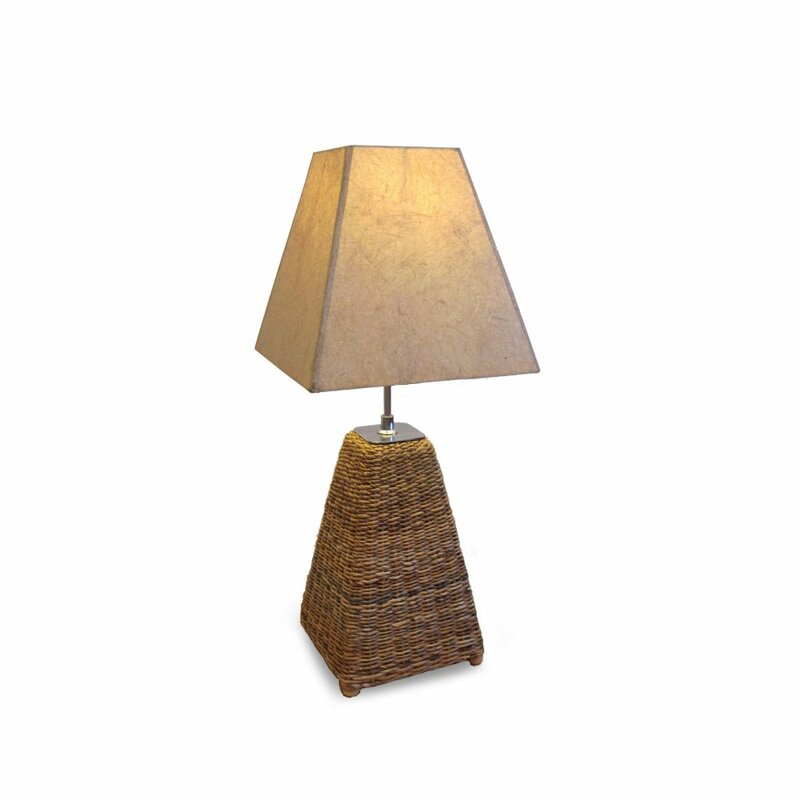 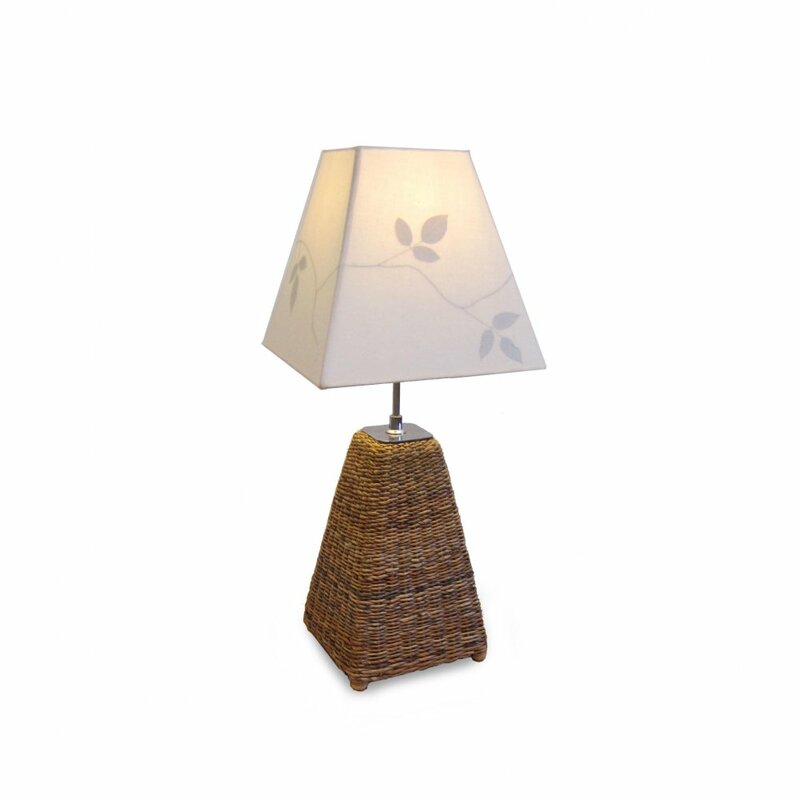 The tall pyramid shape is made of banana leaf woven onto a rattan pole frame. 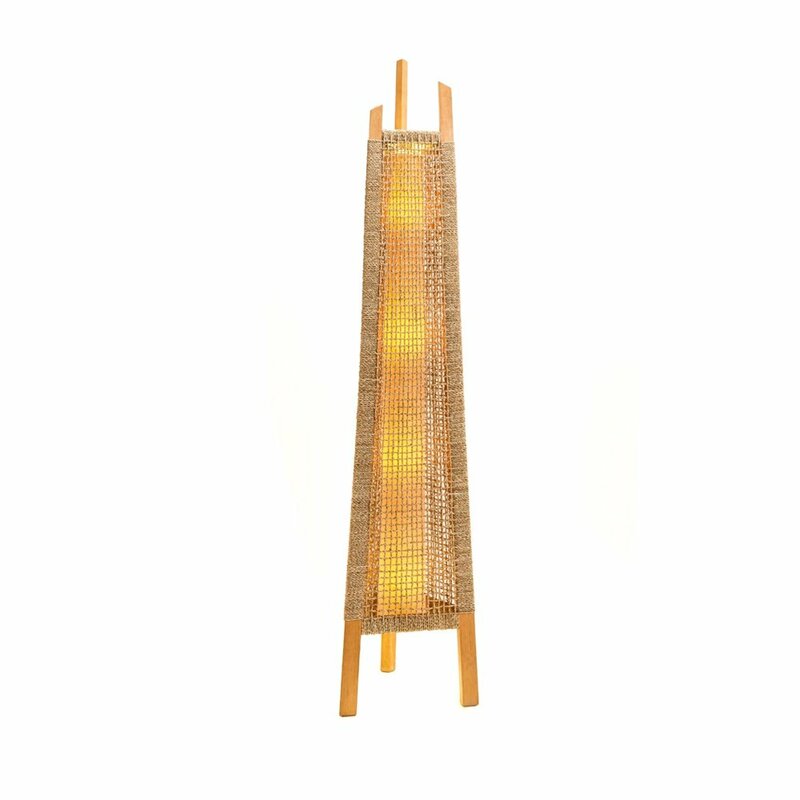 Choose from dark or pale banana. 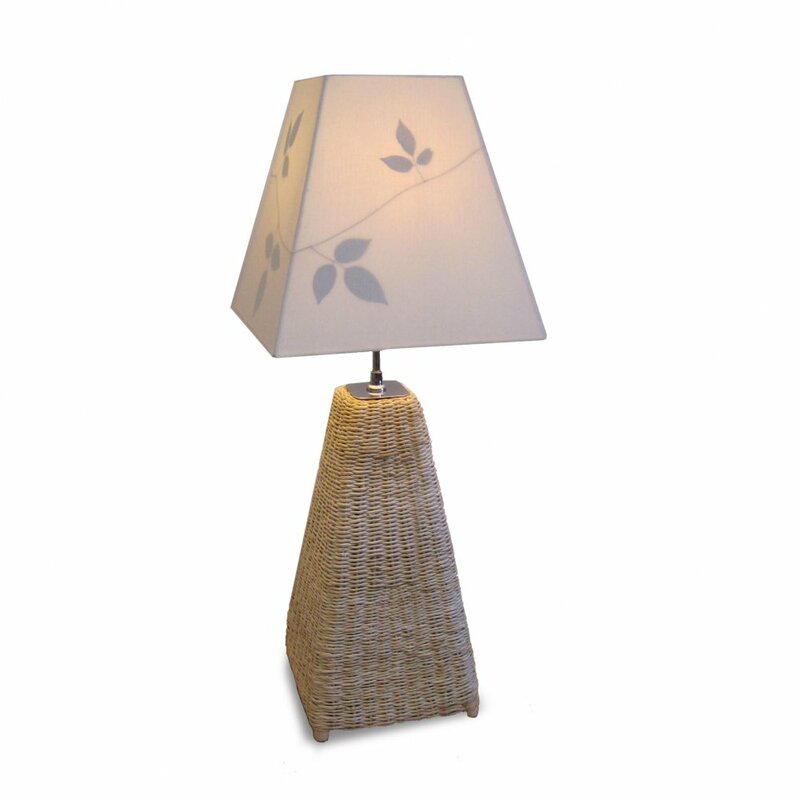 There is a choice of two lamp shades, one made from recycled card, the other from a cream fabric with leaves captured underneath.